Cheetahs and giraffes and rhinos, oh my! At Safari West Santa Rosa, you’ll find wildlife of all varieties. This conservation-focused land is available for you to visit. Here, you can learn all about conservation, nature, and the over 800 animals that call Safari West home. The Safari West Wildlife Foundation is a non-profit organization dedicated to creating wildlife advocates. Each and every day, the team at Safari West works to inspire advocates for wildlife and wild places. Through sponsored class trips, a Jr Keeper program for kids, scholarships, and more, Safari West is able to teach the next generation of wildlife advocates. Safari West has three main goals: research, education, and conservation. These goals are founded on the simple principle that in order to build a better tomorrow, we need wildlife advocates today. There are several types of tours you can take at Safari West. See the wildlife up close! Explore Africa without leaving wine country. Go on safari and search for herds of wildebeest, giraffes, lemurs, zebras, and more. Over 800 animals from over 90 species are waiting for you to discover them on this tour. Take your safari to the next, luxurious level. 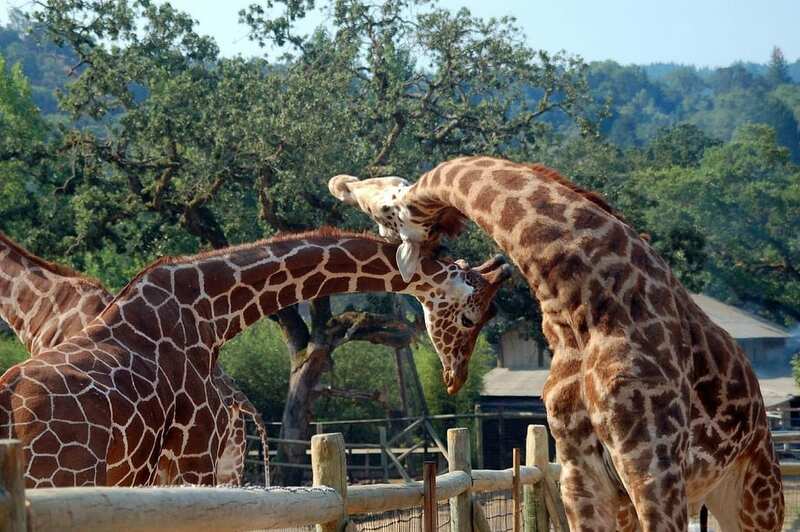 Safari West Santa Rosa offers several luxury tours. These adventures include experiences such as private safaris and wine and dine experiences. Go behind the scenes and take your exploration to the next level! All the proceeds from these incredible tours go directly to conservation efforts. These tours are designed to get you as close as possible to the wildlife at Safari West Santa Rosa. The cost of the tours varies depending on time of year, age, and experience. You can find safari prices here. We’d love to hear about your experience! El Bonita Motel is only a 30-minute drive from Safari West, so after your trek through the Santa Rosa Serengeti you can relax in your room at El Bonita.